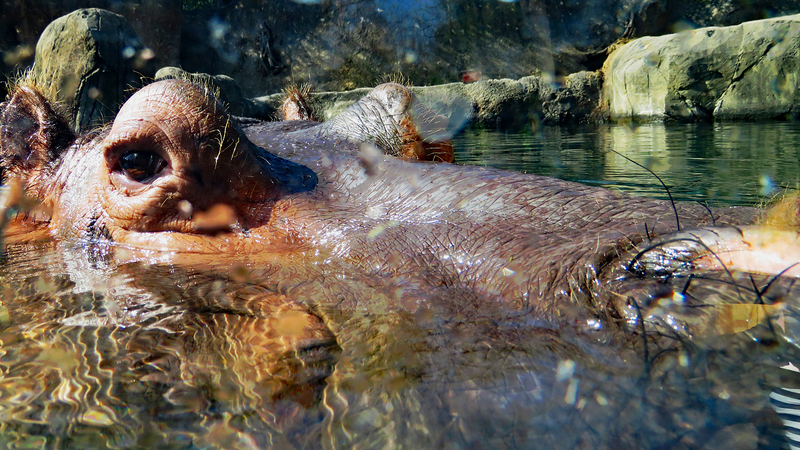 Pictured above is a Nile hippopotamus that yesterday was pressing its nose against the glass of the enclosure’s water tank. This one is the ‘baby’ of the herd, although it is nearly grown. Yesterday’s weather was so pleasant that the entire herd was spending much more time unsubmerged. The male even had climbed completely out of the water and was sunning himself on this near perfect day. Check-out the full resolution close-up.